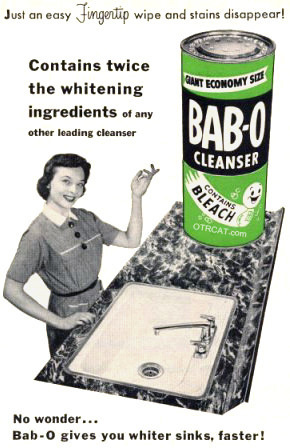 Lora Lawton was a old time radio soap opera following the rags-to-riches tale of a maid turned millionaire's wife and sponsored by Bab-O cleaning powder. 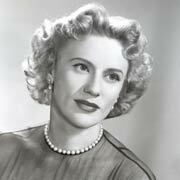 Lora Lawton was a serial radio program following the rags-to-riches tale of a maid turned millionaire's wife. Lora Lawton's story began as a divorcee of Harley Lawton and housekeeper of Peter Carver, the president of Carver Shipbuilding Company. Luckily the handsome and rich Peter fell head over heals in love with Lora much to the dismay of his disapproving sister Gail. Lora's nasty and judgmental sister-in-law causes much angst in her life and is the primary antagonist in the series. Her ex-husband, Harley Lawton, also caused Lora much grief. Luckily she had a friend, personal assistant, and confidant named May Case for girl time. Sponsored by Bab-o cleaning powder, Lora Lawton offered many premiums. In 1947, Lora designed some Christmas cards and offered her creations to the radio listeners. Listeners sent in 25¢ and the green paper band from a can of Bab-O for ten Christmas cards. Originally Joan Tompkins filled the role of Lora Lawton; later Jan Miner performed the role. James Meighan and Ned Wever performed the role of Peter Carver respectively. For another similiar soap opera, see also: Mary Foster, Editors Daughter, Mary Noble, Backstage Wife, Our Gal Sunday, and Linda's First Love. Be the first to comment on "Lora Lawton"